Weight: 1.00 g.; 16 mm. Carrickfergus, Co. Antrim. 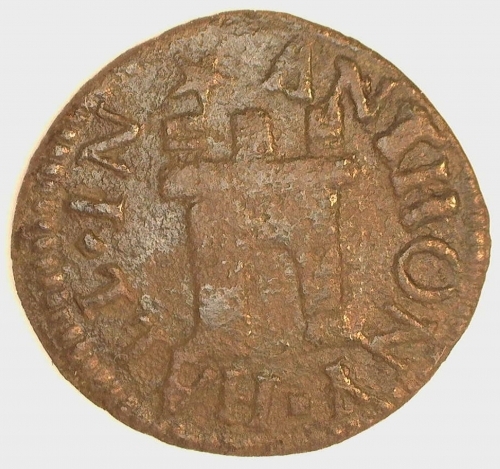 Anthony Hall, c. 1656, one penny token, 1.00 g., 16 mm. Obv. ANTHONY HALL IN around castle. Rev. 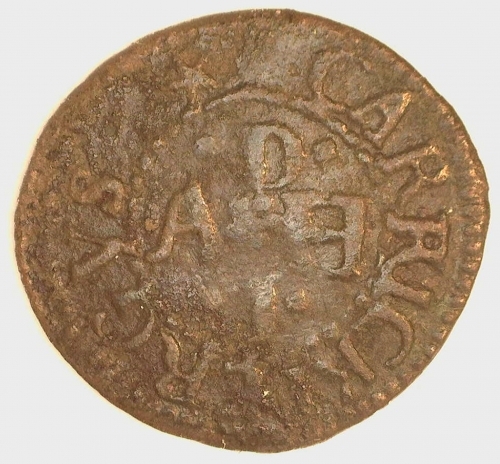 CARRICKFERGUS around initials 1 D and A H.
Very Fine. A rare token. $450. ex DNW 15 Dec. 2005 L.2200 part; ex Whytes Dublinia Collection Sale 21 Feb 1997, L.4 misdescribed as BW.136 (same, but showing date, 1656, which this piece clearly does not have).